Enriched with organic sweet almond oil,wild honey and organic ghee, which makes it rich in moisture and good for your lips. r with all the goodness of Ayurvedic care. Stays on for 8 hours. Explore the entire range of Lipstick available on Nykaa. 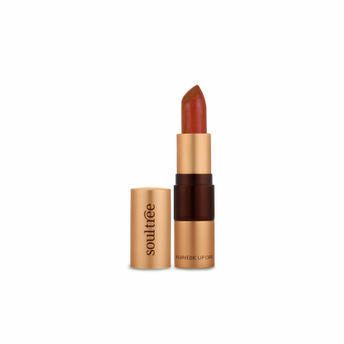 Shop more SoulTree products here.You can browse through the complete world of SoulTree Lipstick .Alternatively, you can also find many more products from the SoulTree Ayurvedic Lipstick range.